Preheat oven to 375 degrees. Grease a standard loaf pan with cooking spray and set aside. In a large bowl, mix together the meat, egg, breadcrumbs, garlic, onion, salt, pepper, sage, parsley, ketchup, Worcestershire, and steak seasoning – lightly, using a fork or your hands. When it is fully combined, turn the meat mixture into the prepared loaf pan, and pat lightly into the form of a loaf. 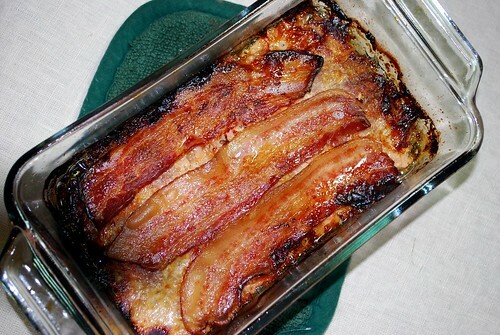 Top with the three slices of bacon. Bake for about 45 minutes to an hour, or until meat is cooked all the way through the loaf. Meanwhile, heat the tomato soup in a small saucepan over medium heat. 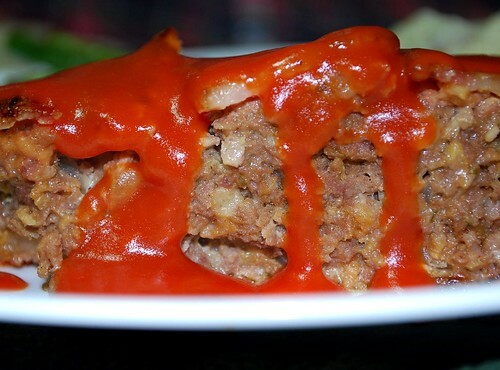 Slice the meatloaf and spoon the hot tomato soup over the top. 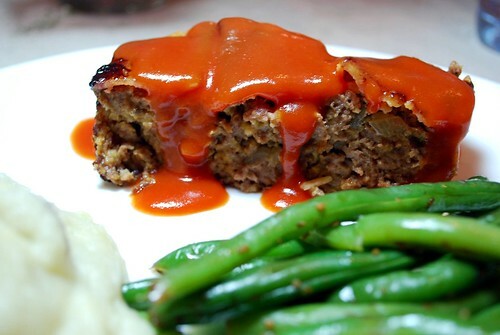 This meatloaf only gets better with age. Try slicing your leftovers and making a hearty sandwich with white bread and ketchup – divine!